The official support lists from motherboard vendors are always a good source for some sneak peak information on upcoming products. This time Taiwanese manufacturer ASRock started listing some not yet released chips from AMD and the company has also added some specs. Checking ASRocks latest compatibility list for their A320, B350, X370 and X470 based motherboards, we take note of a Ryzen 7 2700E and a Ryzen 5 2600E processor. Both chips are supposed to turn 45 Watts into heat (45W TDP) and apart from that the Ryzen 7 2700E sports eight cores and 16 threads, 16MB of L3 cache and 4MB of L2 cache. According to ASRock this chip clocks at 2.8 GHz base clock and there is no further information on turbo speeds. Compared to the 105 Watt Ryzen 2700X chip AMD reduced the core clock by 900 MHz to achieve the drastically lower 45W TDP rating. A quick look at the details on the second new chip shows that the Ryzen 5 2600E is a six core part with 12 threads, 16MB of L3 and 3MB of L2 cache. This chip runs at 3.1 GHz base clock, which is 500 MHz less than its bigger brother, the Ryzen 7 2600X. 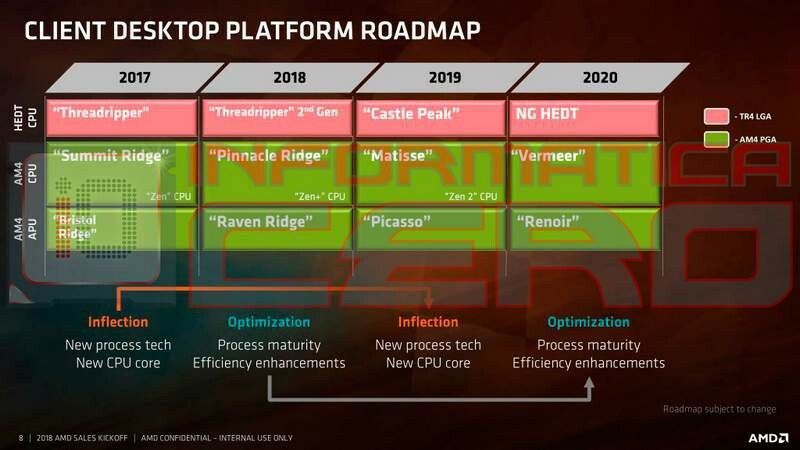 When it comes to availability we’d expect these two chips to become available when AMD gives green light for the B450 launch, which could basically be any day.